In 1977, United Artists were banking on lucky number seven in more ways than one as they splashed a record $4.4m USD in promoting the latest James Bond film around the world - over 30% of what was spent on the production budget. The 7th of July was a warm and clear summer’s day - with a difference. 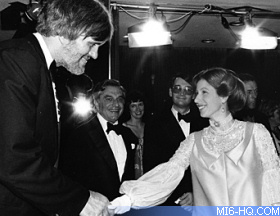 What made it special, other than the fact that the date read 07/07/77, was that one of the most impressive film premieres London has seen was about to take place. 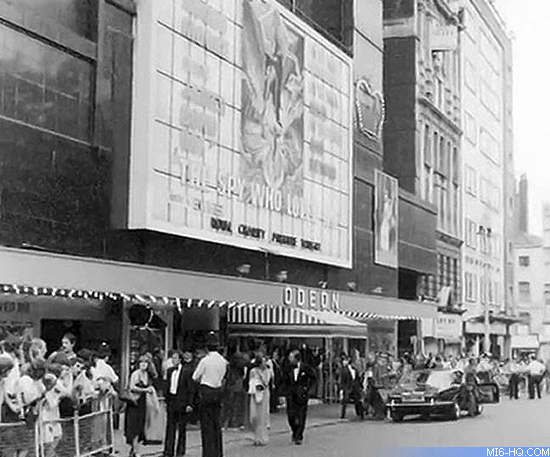 The Odeon cinema in Leicester Square once again played host to another exciting James Bond debut. This time it was a long awaited film by the title of ... 'The Spy Who Loved Me'. The faboulous weather meant tha even more fans than usual were eagerly waiting outside to catch a glimpse of the stars arriving at the cinema. 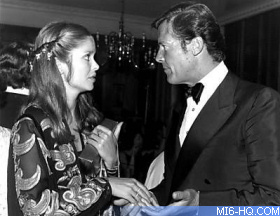 Alongside members of cast such as Sir Roger Moore, Richard Kiel and Bond girl Barbara Bach were members of the production crew. 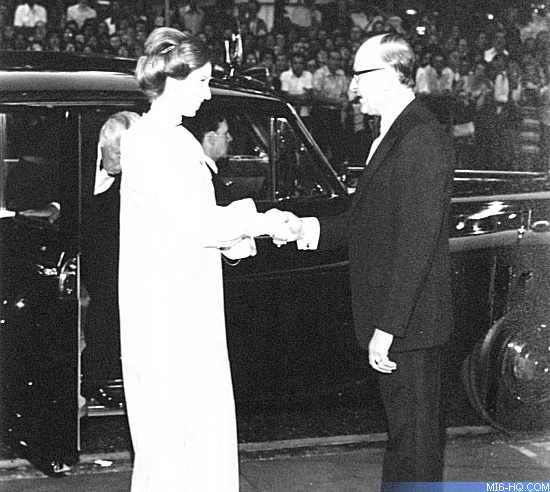 The Spy Who Loved Me was not attended by the Queen or Prince Charles this time around, but instead by Her Royal Highness Princess Anne, her husband Mark Phillips and Earl Mountbatten. 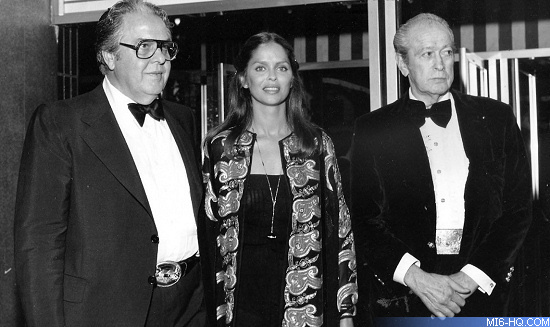 As with tradition at James Bond premieres, producer Cubby Broccoli and Micheal G Wilson attended and lined up alongside the cast ready to meet the Royal Guest of Honour. For all those in attendance the night would prove to be one difficult to forget. Immediately after Rick Sylvester (doubling as James Bond in the ski stunt) launched himself off the snowy cliff-top to reveal a Union Jack parachute, the audience lept to their feet and cheered - and the atmosphere remained electric for the rest of the screening. The subsequent premiere party was hosted by Broccoli at the Intercontinental Hotel in Park Lane and itself cost £143,000. Over dinner, Broccoli raised the potentially tricky topic of Moore's commitment to the series. Moore's original contract with EON had tied him to only three films, all of which had now been made. But Broccoli need have had no worries - Moore was only too keen to keep on going and readily agreed to appear in the next film, which Broccoli was already planning to be For Your Eyes Only (ultimately, he would produce Moonraker as the next film). 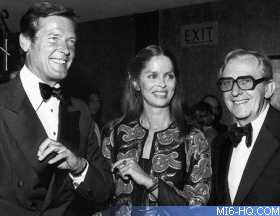 The three-year gap between outings seemed the break Bond needed, as the box-office bounced back from the disappointing previous film 'The Man With The Golden Gun' (1974). "'The Spy Who Loved Me' was a financial success taking $46.8m in the USA and producing box-office takings of $185.4m USD globally with an estimated 21 million people seeing the film on the big screen. The film smashed the Odeon theatre record in London after six days, and over one million Brits had seen the film by its fifth week on release. The film was so popular in London that it played at the Dominion theatre until Christmas, and the Pavillion until late February the following year. Bond had tremendous success overseas too, breaking records in Australia, Germany, Italy, the Philippines, South Africa, Taiwan, and the United Arab Emirates. Not many tent-pole films can boast bringing in ten times the total spent on production budget and marketing combined. 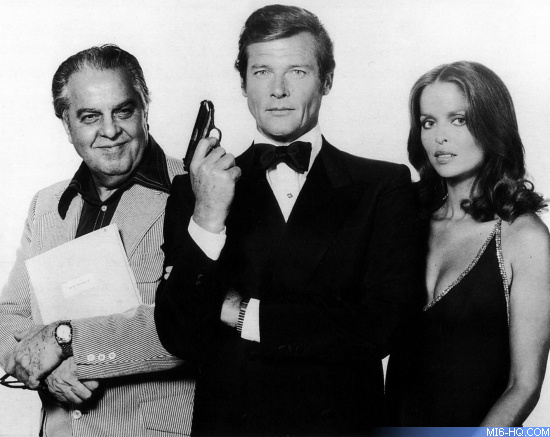 07/07/77 was indeed Bond's lucky number, and he was definitely back. "From the opening credits to the final fade-out kiss the latest James Bond epic is unqualified joy. This is cinema entertainment at its very best" -- The Daily Mirror.